With the Christmas season upon us, do you want to decorate your house to create a festive atmosphere, but don’t know where to start exactly? Then this list is perfect for you. 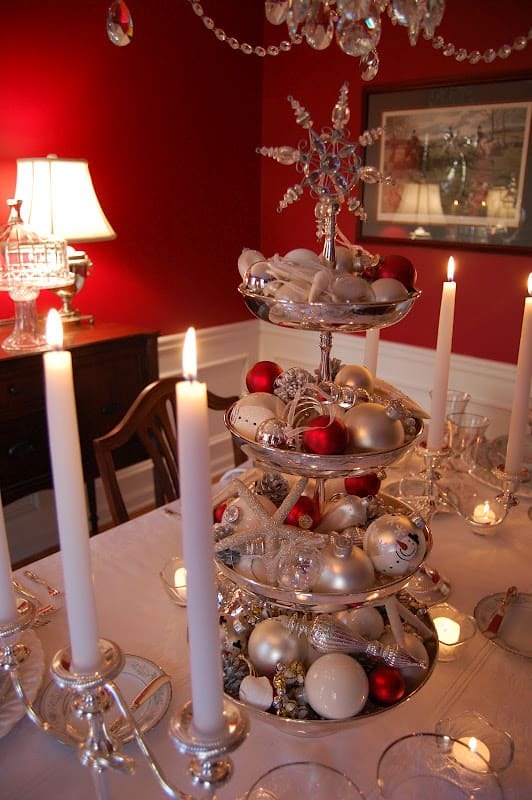 Just like with my Thanksgiving decorations list, I sat out to find inspiration for simple yet charming Christmas DIY decor ideas that will bring about that atmosphere. I only include decor ideas that are cheap and easy to make, so don’t be intimidated even if something on the list looks fancy. Please don’t beat yourself up if you’re in a season of motherhood where you don’t even feel like putting up a Christmas tree, let along make cute DIY decor! I have been there and trust me, the kids won’t remember it among the many other Christmases you will spend with them. Plus, you can create a festive environment in other simpler way: a book, a cookie, a candle. Give yourself grace and don’t buy into the idea that Christmas has to be grand and sparkly. The First Christmas was nothing like that, yet it brought us the Greatest Gift ever alive. Focus on that instead. 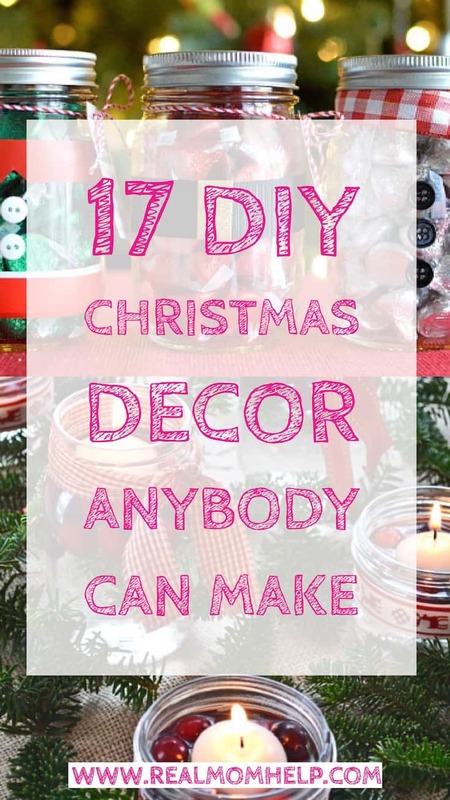 However, if you are up for some DIY fun this year, check out my list of 17 Charming DIY Christmas Decor Ideas that Anybody Can Make! 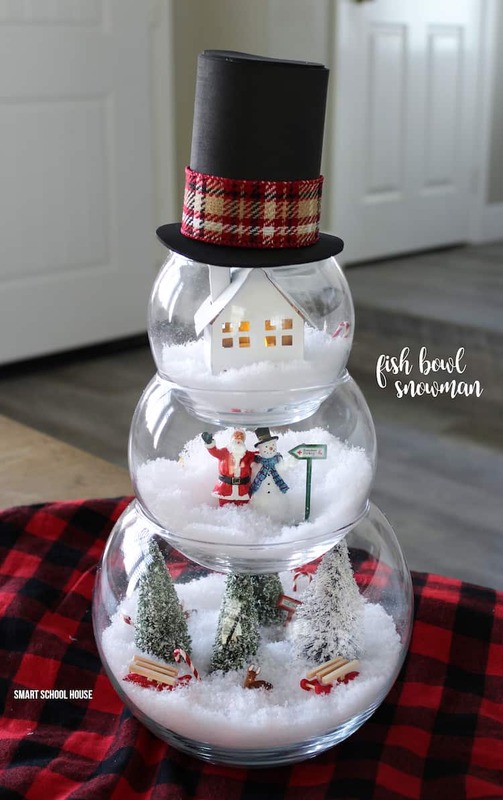 I love this adorable snowman that can be put together by using easy-to-find supplies and basic crafting skills. You should be able to find everything you need in dollars stores or any other store really because Christmas decor is everywhere. You can also order some things online like fake snow or Christmas village accessories. I never knew it was so simple to make such a pretty looking ornament wreath! 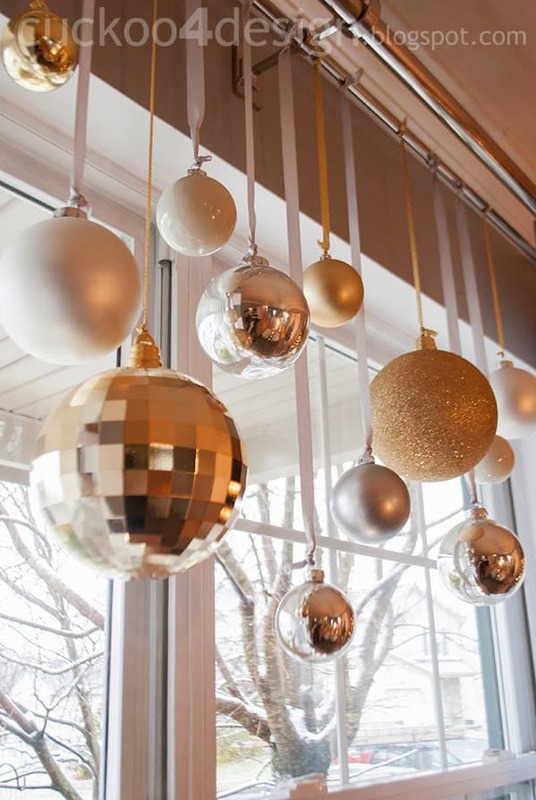 The tutorial only uses a wire hanger and ornaments of your choice. Check it out! You can make your windows look festive by hanging dollar store snowflakes on the curtain rod using fishing wire. Pretty doesn’t have to be hard! Image credit and idea: Take Time for Style. The cool part of this DIY decor is that you can go as simple or as complicated as you wish. 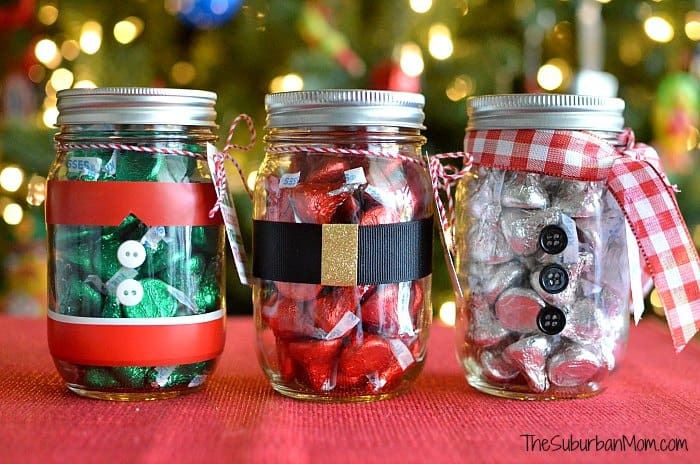 You can score festive jars in thrift stores or buy some on Amazon. You can use extra ornaments you have on hand or pick some up on your next run to Target or order them here. There’s really no wrong way to do it! Image credit and full tutorial: Thrifty Crafty Girl. I have always thought that those green styrofoam cones are so fun to poke things into. If you feel the same, this craft is for you. 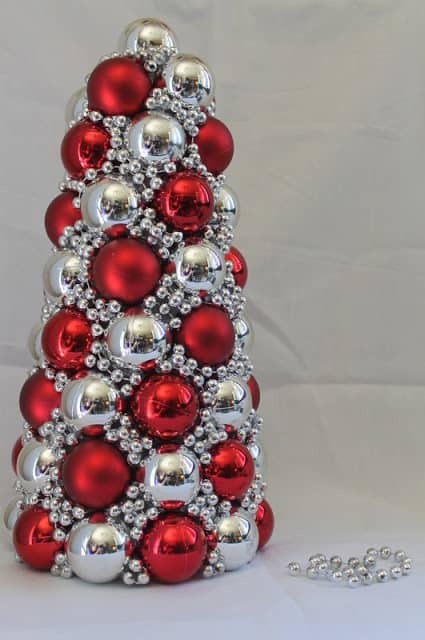 Turn a green cone into a gorgeous tree decor with a hot glue gun and some elbow grease. Image credit: Cuckoo 4 Design. 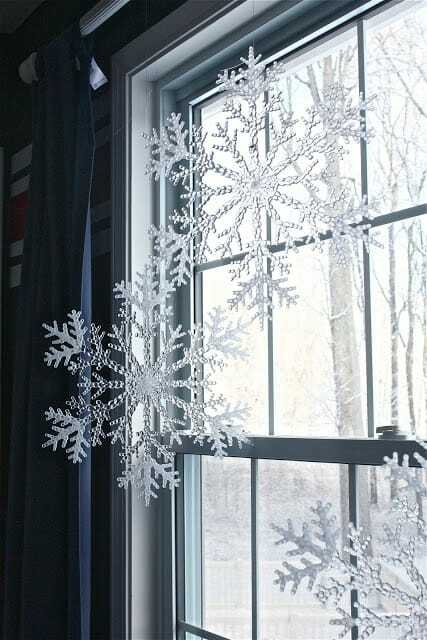 Just like with the snowflake idea, you simply hang decorative ornaments of your choice on your curtain rods. This time though, you use different lengths of pretty ribbons instead of fishing wire. 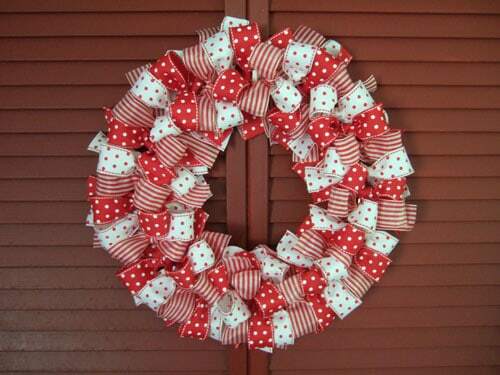 I sometimes hang a smaller wreath off my curtain rods too, it really makes the windows look festive. Image credit and idea: Between Naps on The Porch. I am totally in love with this idea! 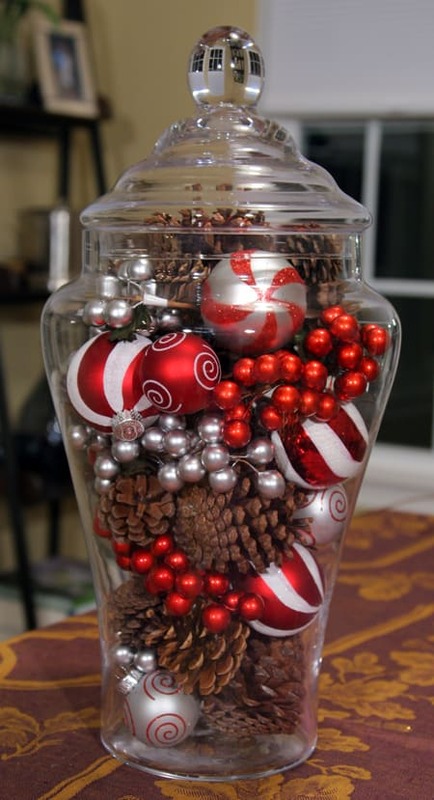 It makes a quick-to-make but super festive centerpiece for your Holiday table. I love that the white and silver colors are dominant with only a little red pop of color. I am a minimalist when it comes to decoration, so I like to think long and hard about what I bring into my house. I hate items just standing in cabinets, never being used. But I have been wishing for a tiered server for some time because whenever cupcakes or small desserts are served, I have no way to display them. I have my eyes on this one unless I find one at a thrift store. Isn’t it pretty? Image credit and idea: Paint Me Pink. 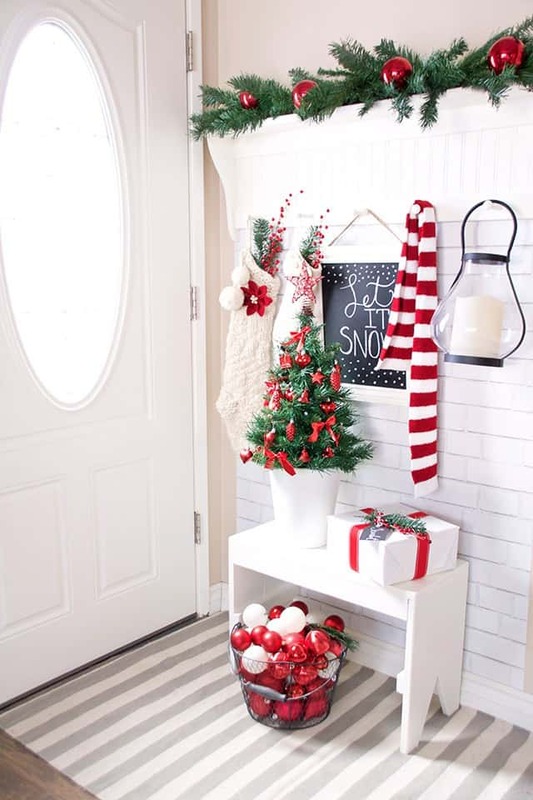 I dig the idea of a wire basket filled with ornaments by the door or fireplace! In real life, however, this is not a very toddler-friendly decor, so it will have to wait until next year. Image credit and full tutorial: One Little Project. I was never a huge fan of fake tealights, but this, I could do this! I would just make sure to buy the ones with straight flames instead of those squiggly looking ones…confused yet? Here’s what I am talking about. Image credit: Trendy and Wild. Spanish is not a language I speak, so I let the picture tell me what is going on here. 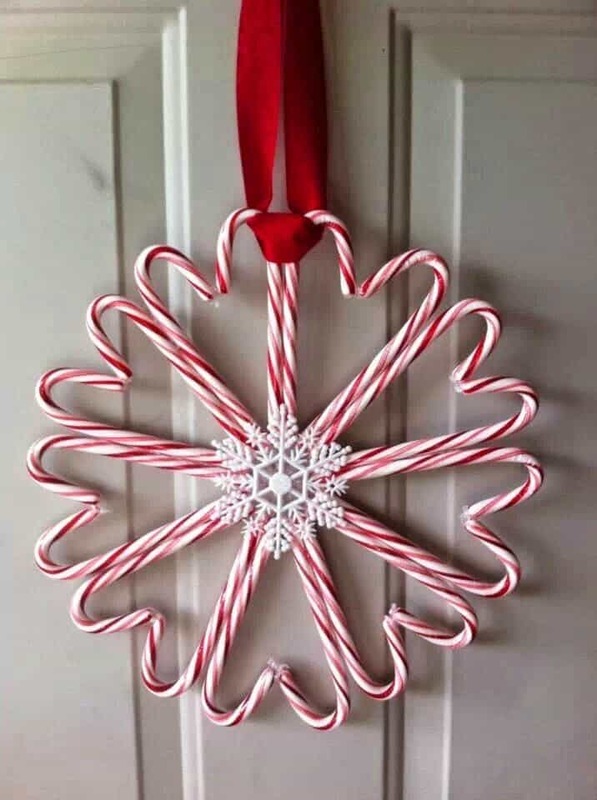 I see candy canes, a ribbon and a star ornament stuck together with hot glue. That’s all the fanciness you get when I write a craft tutorial. Image credit and tutorial: The Sphors Are Multiplying. How about this one? So cute! 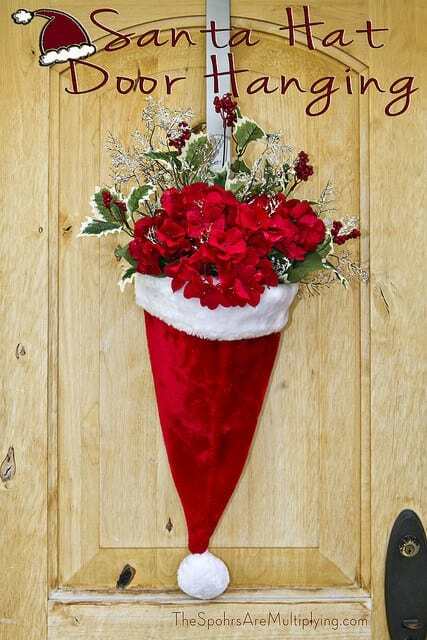 I could see this hanging on bedroom doors too, with the child’s name or wooden initials attached to the Santa hat. Image credit and tutorial: The Suburban Mom. 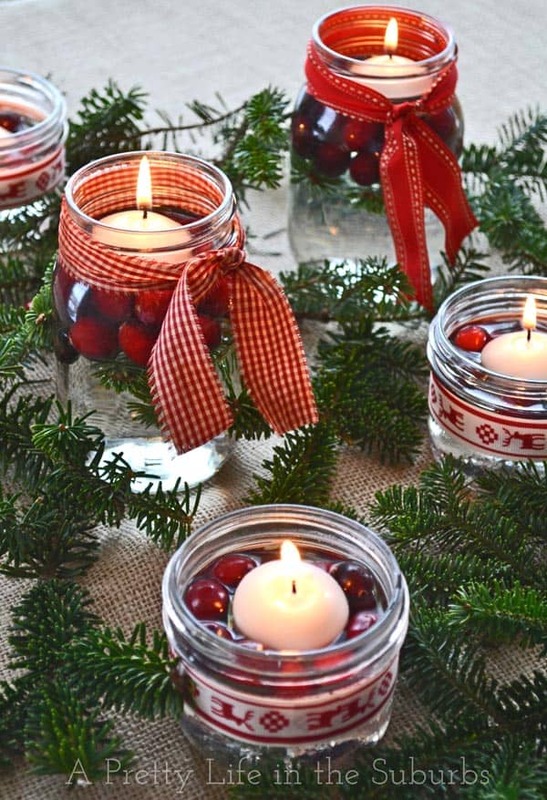 A decorations list cannot be complete on this blog without at least one idea involving Mason jars. I freaking love them! This one will be a kid-pleaser for sure. I may only be brave enough to put these out for a party or on Christmas Day so I don’t have to fight off little hands constantly. They also make quick gifts! 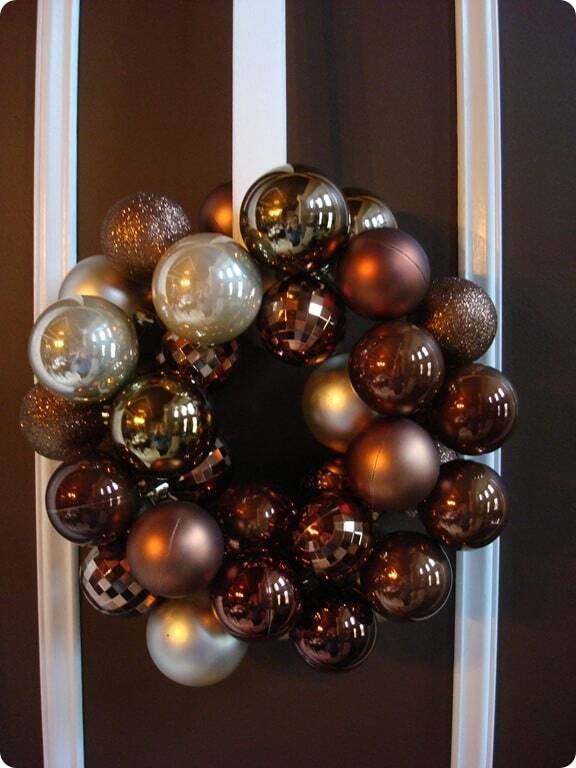 As an easy way to add Christmas cheer to your front door, make this simple ribbon wreath by using your choice of festive ribbon and a 12-inch metal ring. I would have never thought of this myself, but pompoms and pinecones look pretty cute together, don’t they? It’s so easy to make that the tutorial fits into one picture. Image credit and tutorial: Fun Holiday Crafts. 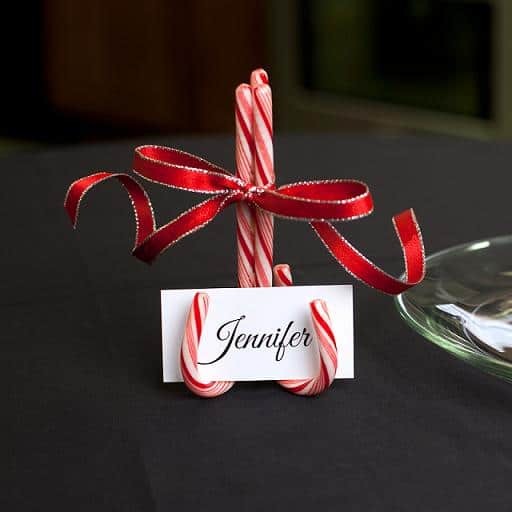 I adore this charming little name tag holder for a Christmas family meal or party! So simple to make but looks fancy. Totally my kind of decor. Image credit and tutorial: A Pretty Life. More Mason jars. I had to. I actually made this decor a couple years ago and I re-make it every year. I add a square piece of burlap under it all and place it on white tablecloth as a centerpiece. I don’t think I’ll ever get tired of it. You can replace the water and cranberries with Epsom salt (fill the jar halfway) to make it look like snow. Imager credit and tutorial: Clean and Scentsible. This idea is different from many I have seen. It stood out to me not only because of the unique look but because it could also work as a chalkboard. 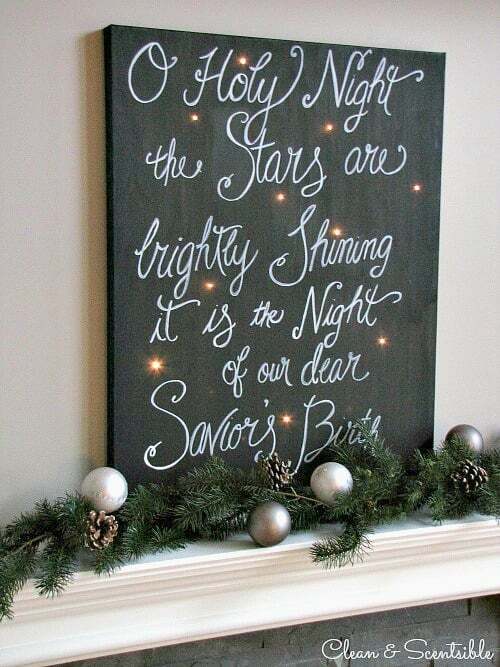 In that case, of course, you would use chalkboard paint to cover your canvas. The writing on the sign could change daily, using a Bible verse, or an inspirational quote, or food description at a party or whatever else you may think of. I hope you enjoyed these ideas as much as I enjoyed collecting them. 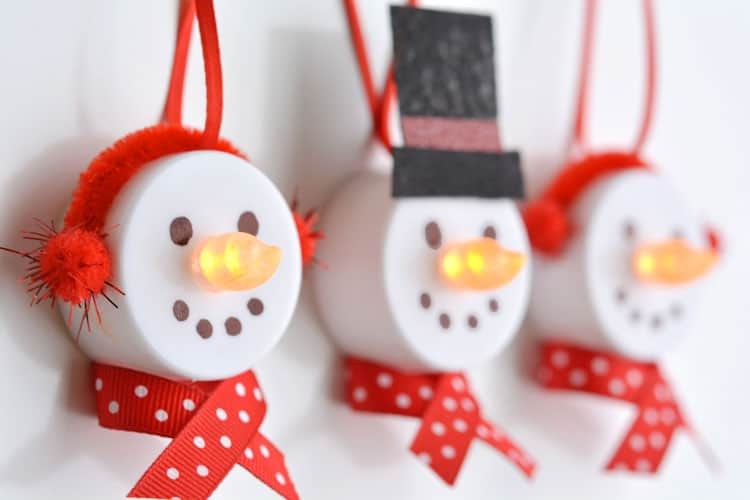 With these simple ideas in hand, even in the busy season of motherhood, you can find time to make charming Christmas decorations! Which one will you try? Do you have any more ideas to add to the list? Great ideas! Thanks for putting it together and sharing! 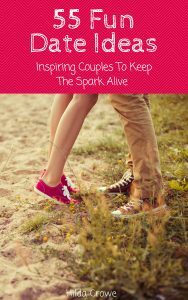 Definitely trying some of these ideas thanks for the list! Hi Rosaura, I am so glad you visited and commented! Have fun creating!